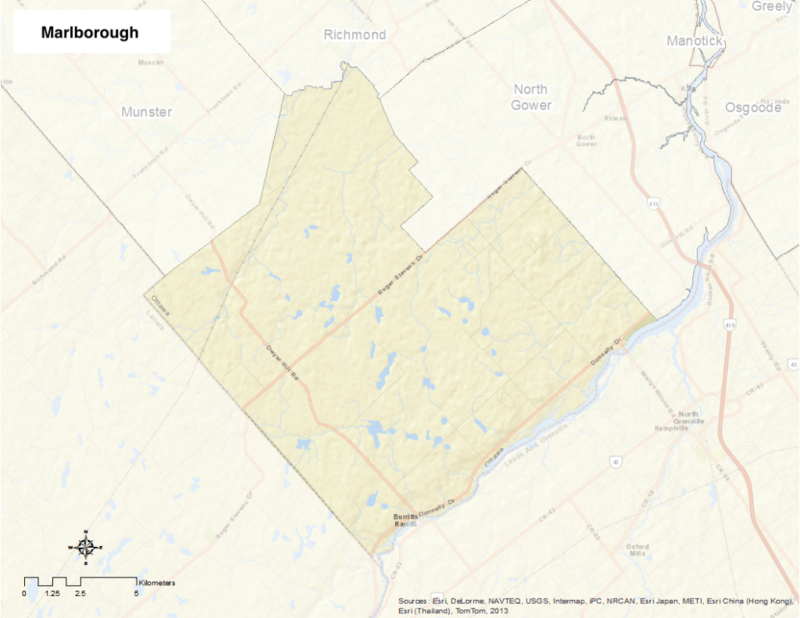 This neighbourhood includes the communities of Marlborough, Pierces Corners, Malakoff, and Burritts Rapids, one of the first settlements on the Rideau, predating the Canal itself. The village of Marlborough is located at the intersection of Pierce Road and Malakoff Road. Also included is Marlborough Forest, one of the most significant areas in the City of Ottawa for maintaining diversity and ecological functions. The City owns 8,149 hectares of this large natural area which includes several different types of wetlands and a wide variety of forests, thickets and open fields. In addition to being part of the Rideau Trail System, a hiking trail that runs from Ottawa to Kingston, the Marlborough Forest features the Cedar Grove trail (with parking lot on Roger Stevens Drive), and a number of snowmobile trails maintained by the Rideau Snowmobile Association.